Our managed IT services in Perth / WA includes plans which allow us to provide top level, proactive expert IT maintenance, and IT support for Perth businesses. Our 24/7 IT monitoring system allows us to fix IT problems Australia wide before you even notice them! Our Managed IT Services plans in Perth are based around the idea that providing a solid and reliable IT setup is crucial to your business computer systems running efficiently. We have alerting systems in place which can detect IT issues before they impact your business productivity. Being an experienced managed IT services provider together with our parent company Arinda IT, we can help you manage IT issues and make sure you get the most out of your IT infrastructure. Have you been counting the money sent down the drain as your employees wait for a major IT problem to be fixed? The story is all too common, but we manage things differently! Ongoing maintenance is much less costly than repairing problems as they come on a break-fix model. We actively monitor several hundred IT parameters 24/7/365 to heavily reduce down time and so that future emergencies computer problems can be averted by early detection. 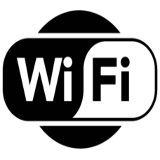 If you need a professional and reliable WIFI solution, anywhere in Australia, chat with the experts at Arinda/FSA Technology. We’re specialists in providing high performance, secure and scalable wireless networks with the added benefit of real time reporting of usage and application control. Complete server backups in close to real time increments and kept onsite and offsite. Restoration for entire servers and/or files can be completed in minutes! Feel free to contact our Perth office for any IT support issues! We use remote helpdesk software so we can fix problems on the spot without having to guide your employees to do anything themselves. If a problem requires us to come on site, you can rest assured that it will be included in your Managed IT Services plan at no extra cost. You are sent a report each month detailing a breakdown of support calls, important issues and the general health status of your IT system. You will not receive any unexpected surprises at billing time. We have made our Managed IT Services plan as unlimited as it can be! Our SLA includes strict Response Time Guarantees, Satisfaction Guarantees and outlines generous penalties if conditions are broken (not that they ever are!). My company and other affiliated companies that i am involved in that FSA have web designed pages and other services for, cannot speak more highly of the assistance, understanding, professionalism, and costs offered by FSA. We just needed a computer set up at work, and FSA went out of their way not only to get us the best computer system price in Perth but to install it at very short notice. WPM Group has been very happy with the services provided by FSA Technology. The quick response to emails and the speed at which our IT issues or queries are resolved has been fantastic and helped ensure minimal interference with our day to day work. The service is always friendly and nothing is ever a hassle. We've never had better IT service in this department! When our Racoe office fitout and office partitions company moved into our new Perth office, FSA Technology discussed our IT options with us thoroughly and presented us with a quote that the others couldn't beat. The difference is that FSA Technology did not offer an over-engineered solution to suit their pockets, they provided what we asked for! Installation of the new IT systems at our Perth office was also flawless. Computer cables were hidden in office partitions to present that sharper image of a professional Perth office fitout. Our server was installed in Perth quickly and without any system downtime. FSA's IT support is down to earth, doesn't overcharge and most importantly, doesn't try to offer the newest hardware as the only solution. FSA Technology has provided IT support services to Zenith Pacific with a high level of professionalism and efficiency.